NOTE: This content is old - Published: Tuesday, Oct 6th, 2015. 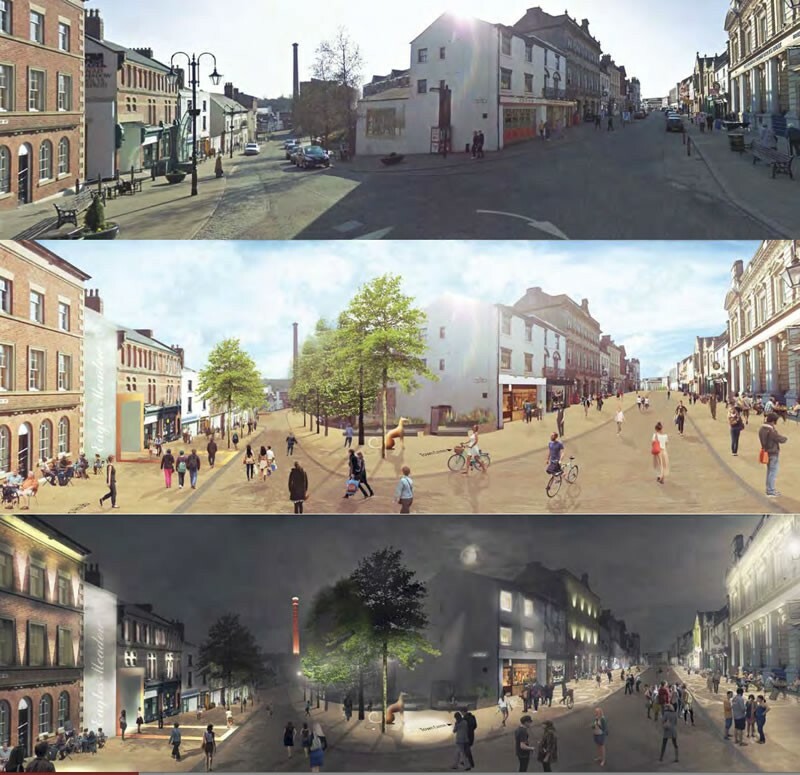 Pictures of how Wrexham town centre could look have been released by Wrexham Council via their ‘Masterplan’ document. The Council is asking for your views via an online consultation (take part here) on the proposals, although it must be stressed this is a framework and a desire and are not firm plans. Yesterday a hefty 84 page document detailing the ‘vision’ for Wrexham over the next decade and more has been released to support the launch of the public consultation, weighing in as a 25 meg PDF document. 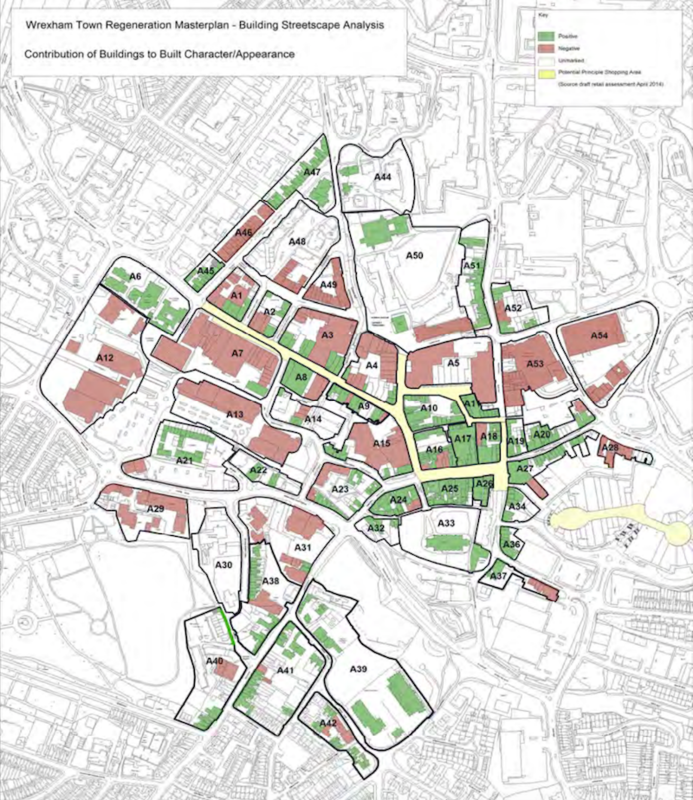 The document itself is a long read, however does provide interesting nuggets of information such as the need to develop 10-13,000 homes in Wrexham over the next few years. For context that is roughly 35 developments the size of the one that was turned down Llay in and around Wrexham. 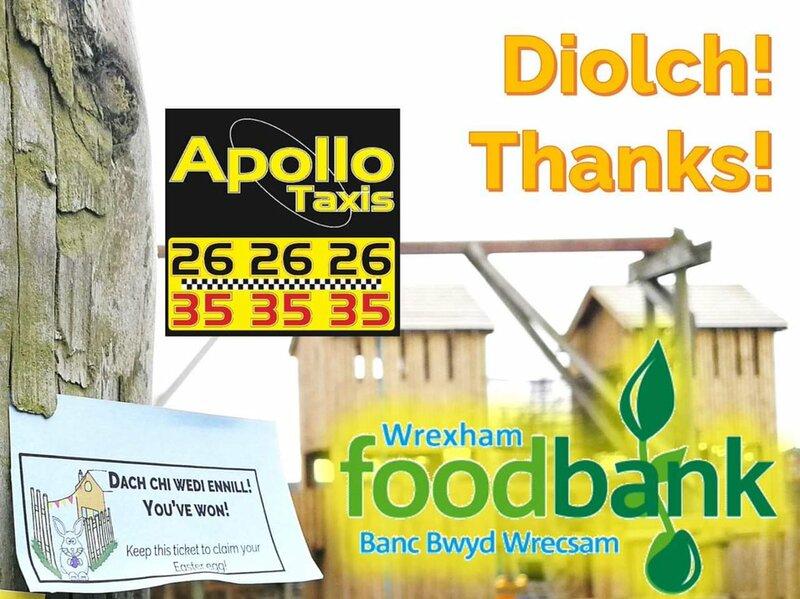 Residential plans also include using empty space in the town centre as accommodation and more information about the plans for the Bodhyfryd site once the Wrexham Police Tower has been demolished. One proposed use for the Bodhyfryd site could see nearly 300 ‘residential units’, or flats as they are commonly known, built on the site. 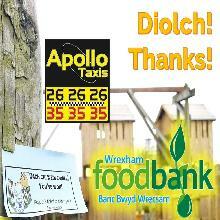 Other suggestions see a mixed use including car parks, hot food, offices and retail – an Eagles Meadow 2! 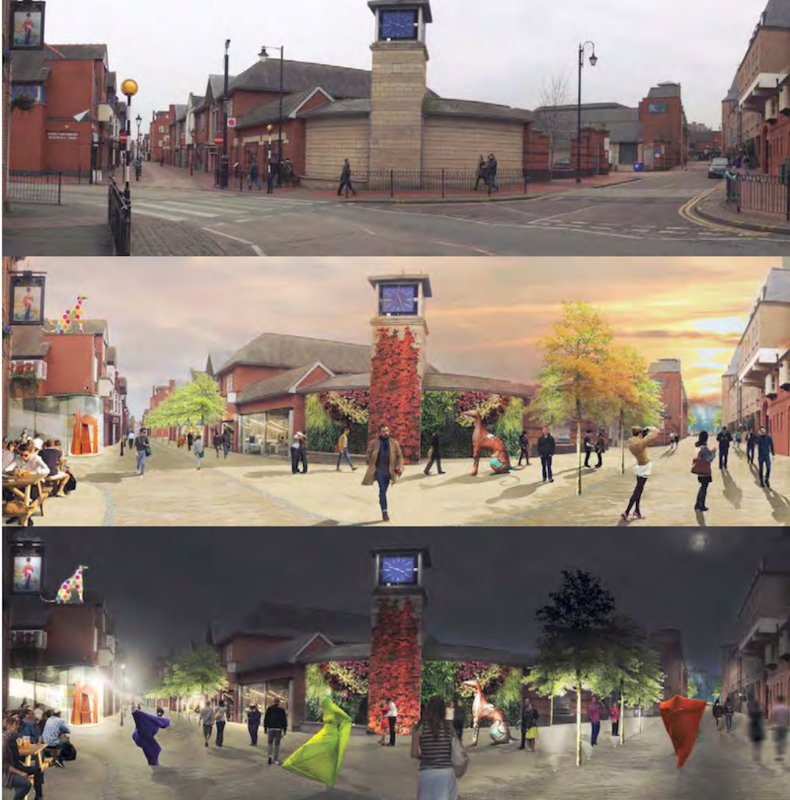 Below are some of the more interesting visuals from the document, but for anyone interested in the future of the town we would recommend making a cuppa and spending the time to read the PDF file and then feed back via the online consultation – although as we wrote at the weekend, some questions are rather fluffy! The document contains several current images with future day and night versions of how things could look. 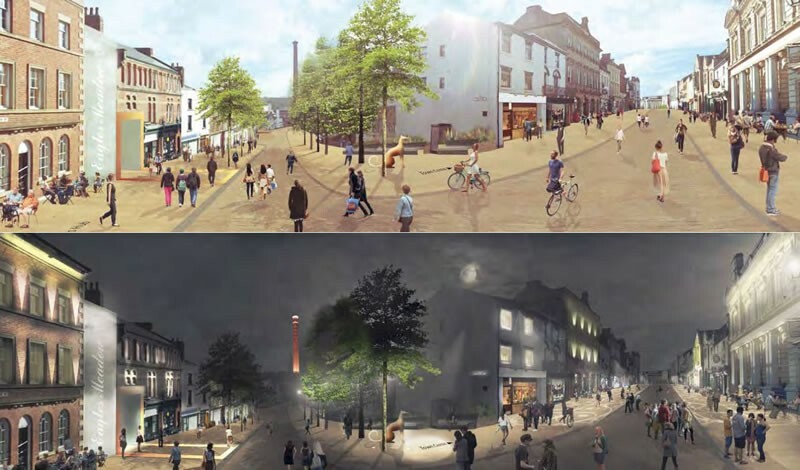 Below is a view from outside the Saith Seren down into town, showing how the new Arts Hub will/may look along with new pedestrianisation of the area and street trees added in. 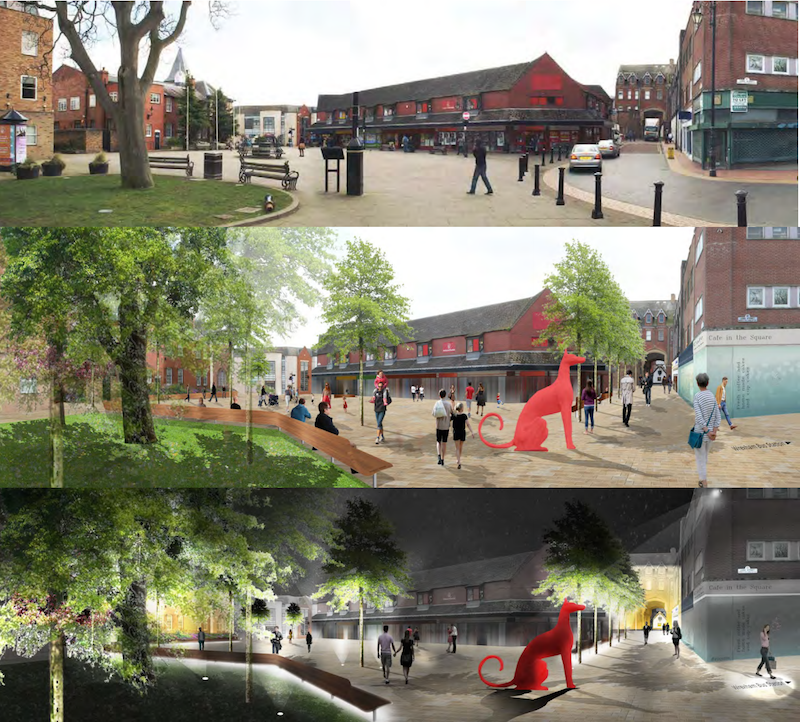 A similar image has been created for Queen’s Square, again showing new pedestrianisation areas and a reworking of the space. A large dog may be visible, which is one of several focus point examples of statues and art around the town and appears to be modelled on the Acton Dogs. Yorke Street has the same treatment, with some interesting proposed changes including a new entrance to Eagles Meadow, wider pavements to encourage cafe culture, and landmark lighting. Several maps are in the PDF document, including one that appears to be the result of a study rating the towns properties as positive or negative to the streetscape. Green is labelled as positive, and brown/red as negative.